At present, the government supplies highly subsidised foodgrains at Rs 1-3/kg to over 81 crore people in the country, costing the exchequer about Rs 1.4 lakh crore annually. New Delhi: The government today decided not to hike prices of foodgrains sold under the Food Law via ration shops for one more year. Under the National Food Security Act (NFSA), which was passed in 2013 during the previous UPA regime, there is a provision for revision of the issue prices of foodgrains every three years. "Prime Minister Narendra Modi has taken a historic decision to not to increase the issue prices of foodgrains under NFSA for one more year," Food Minister Ram Vilas Paswan tweeted. By not raising the issue price under the NFSA, the government has shown commitment towards well-being of depressed class, he said. The government supplies 5 kg of subsidised foodgrains to each person per month via 5 lakh ration shops, known as Public Distribution System (PDS). Rice is supplied at Rs 3/kg, wheat at Rs 2/kg and coarse grains at Rs 1/kg. The NFSA has been rolled out across the country since November 2016. 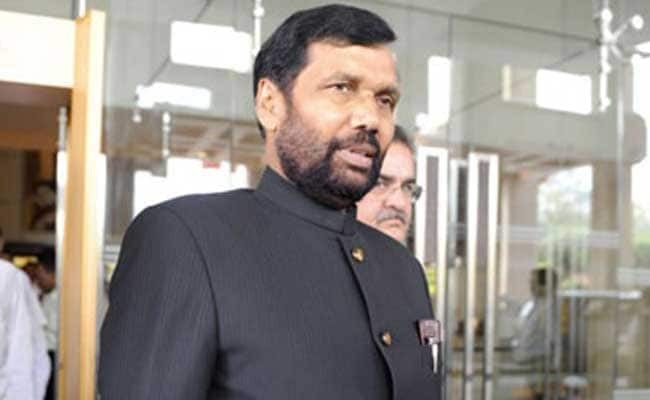 Mr Paswan had said recently that going forward, the government's focus would be on ensuring "nutritional security" of the poor people registered with PDS. The ministry has chalked out plans for supplying fortified wheat and rice flour via PDS, and is deliberating with stakeholders on supplying nutritious food in a cost effective manner.